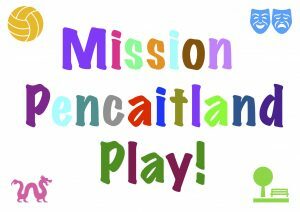 What a great start there has been to Mission Pencaitland Play! The donations have been sorted through – but we have no laurels to rest on – as donations will continue to be needed as the children invent, build, transport and move and generally get very hands on with the resources. Quite a lot of the small world play parts have been very popular, so much so they have been disappearing, so if you find some extra bits and pieces lying around, please do just pop them back into the small world area (between the bike shed and The Glebe). Some very popular items already could do with replacing, so if you have anything the children might enjoy and spark their creativity – like fabric / curtains, horse saddles, old phones or keyboards or suitcases, do please offer them to school rather then send them off to the recycling / refuse collection. It’s their imaginations that bring everything to life so if in doubt, just ask :). The creative zone opened up too – and the school celebrated in Global Play Day this week. Lots of active, co-operative, problem-solving, therapeutic and fabulous play with no age barriers – from construction and drawing to sports to mud kitchens (may have seemed more like mud baths for some) – and all enhancing our children’s development and learning. More zones will be opened and developed over the rest of the school year, with help from ELC for one. Some areas will take a while to become fully established, but there is going to be much more choice and enticement to get active, be outdoors, enjoy the school environs with friends / peers and exercise brains with bodies all at the same time. Nov. 2018 (Links will take readers to external sites). Katharine Ranyard, who has volunteered as teacher Lead on play, particularly wants to extend an enormous thank you to everyone who has helped so far, on behalf of staff and pupils in PPS. The Mission Play Day on 28th October was a huge success and greatly enjoyed. So many participated, from art based work to lots of physical grafting and prep work, digging and moving materials. Everyone pulled together on a particularly pleasant autumn morning and the school feels indebted to all who gave their time, skills and enthusiasm. It has been a fantastic start. Huge thanks to the wonderful residents of The Glebe who rolled up their sleeves too, and to friends / family of the pupils. Play wish list letter: Loose Parts and materials for playing with are so diverse, so check out some suggestions. We will continue to collect and use items – replenishing and building supplies as much as possible – to sustain our loose parts play for years to come. A local external trainer, from ELPA, has been engaged to work with staff to build the links around play, the use of the grounds, and loose parts in particular. As the school embraces the culture of risk benefit and adventurous play, changes will be seen and explored in how the children can play in the school grounds. Better use of our wonderful space and maximising types of play are key, to give the children a broad foundation for life such as, enhancing relationships, collaboration, perseverance, critical / higher thinking skills, problem solving, communication as well as the perfect tools for maths, literacy, arts, science and all the benefits of being outdoors. Wherever possible, natural loose parts and materials will also be used. The pupils will also be given some training and insight, ready for LAUNCH DAY. A local expert in horticulture has also given advice regarding creating the sensory garden and the Nature Play and Nurture course and work hosted at PPS Nursery (and supported by Support from the Start), has some fantastic outcomes to add to the development plans. Keep up to date through checking the Mission Play Facebook / Twitter and other pages, or subscribe to this blog for all the play information and more. Just to round off, thanks again to all who pledged help, money and time to get us off to a great start! A massive thank you to all the parents, children and neighbours who came together on Sunday to help improve the outside space of our school. It is truly amazing what can be achieved when a school community works together! Work will continue this month to put the finishing touches to the new play zones and all staff and pupils will receive loose parts play training. We hope to have the new playground zones launched shortly after. A big well done and thank you again to everyone involved on the day and those who pledged money or made equipment! 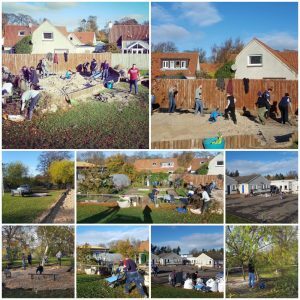 Welcome to our newest page – featuring the wonderful ideas and work to upgrade the playground and school environs, to create a fantastic natural and fun learning landscape for all the pupils to enjoy and benefit from, in their own free time as well as developing and improving outdoor learning capacity for all. There are already wonderful contributions pledged by parents, carers and extended families which includes the wider school community. This has really captured attention and is motivating us all by the possibilities. It is hoped that everyone can make a contribution to this exciting development, one way or another. So far the ideas we are developing are inspired by the Parent Council’s previous consultation with the pupils and parents / carers (in 2017) – and its Play sub group and by an independent report compiled by K. Clarke (who is Support from the Start’s Loose Parts Play Development Officer, from Haddington Cluster) before the summer break. We are very grateful for all this input which gives a tremendous starting point and foundation to plan from. We also have the East Lothian Play Policy and Scottish Government’s Play Strategy to support our School Improvement Plan for 2018/19. The Vision – creating different zones around the playground. Check out the new You Tube channel to hear more. The Why – Children need time to play freely, innovatively, socially and more, across the various age groups in ways which are natural, exciting, challenging, sociable and comforting. but we know ‘free play is something that children are experiencing less and less. This affects skills and learning. Research points to ‘the more play – the better’ and with good planning, we can also develop these areas into the Curriculum for Excellence – helping outcomes to be achieved for all our young people. The Plan – using local talents, enthusiasm, financial and time contributions to work together to create a dynamic, welcoming and inspiring space around the school. 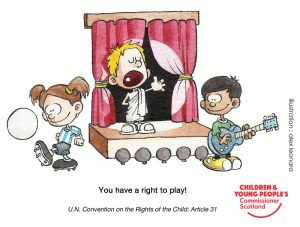 The Aim – Play will be Inclusive and Diverse. 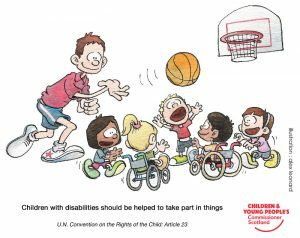 All children have the right to play and so, we will work to create an environment to maximise independence and enjoyable interdependence wherever we can. We want our playground environs to be as accessible and as safe as necessary for all our children to play, to choose their activities and to have fun with their friends as well as make new friendships and experience positive relationships. 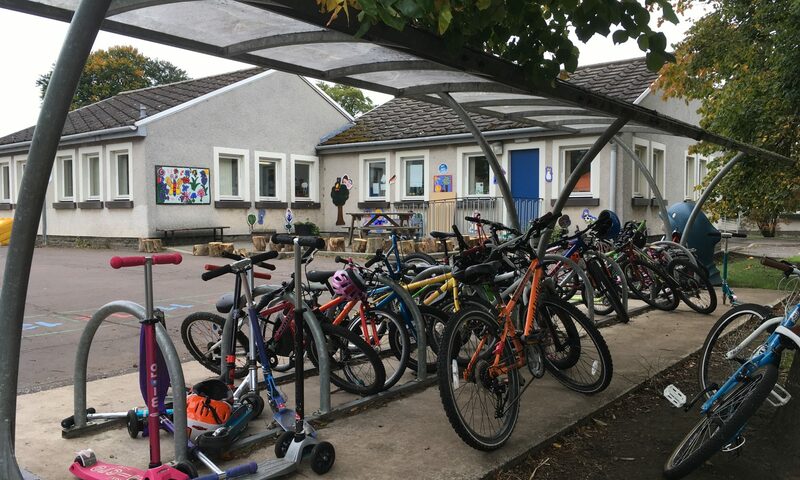 We want PPS to have an indoors and outdoors environment that the children can enjoy, where they feel they belong and can grow in skills, confidence and health. Where they thrive. We know this means we need to build in options to play that encourages curiosity, challenge and managing risk, opportunities to test / try things out and move on from it when it doesn’t work out first time around – but with perseverance to try again and courage to try another way – to perform and entertain, to observe and listen, to laugh and to be serious too. Play is something that every child needs throughout life. Share the possibilities and potential to get involved. Please share the inspiration. 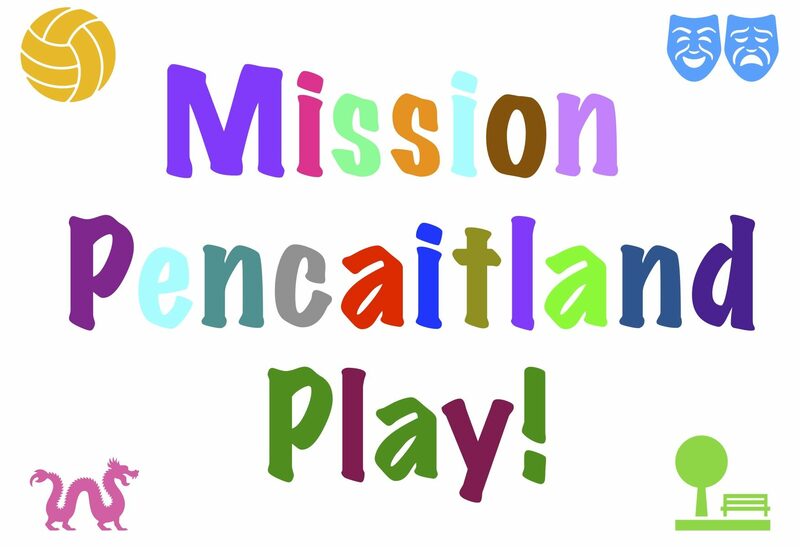 You’ll find updates and conversations starting on Facebook, Twitter and Instagram (as well as the You Tube channel) – so just search for Mission Pencaitland Play for more or follow these links. (The links will take you to external sites). Talk to anyone who may be able to help, from helping with refreshments on the community prep day, to helping to create or provide the materials and equipment. Gardeners, biodiversity students, granny’s old pots and pans, someone with carpentry and joinery skills, off cuts of guttering etc…. 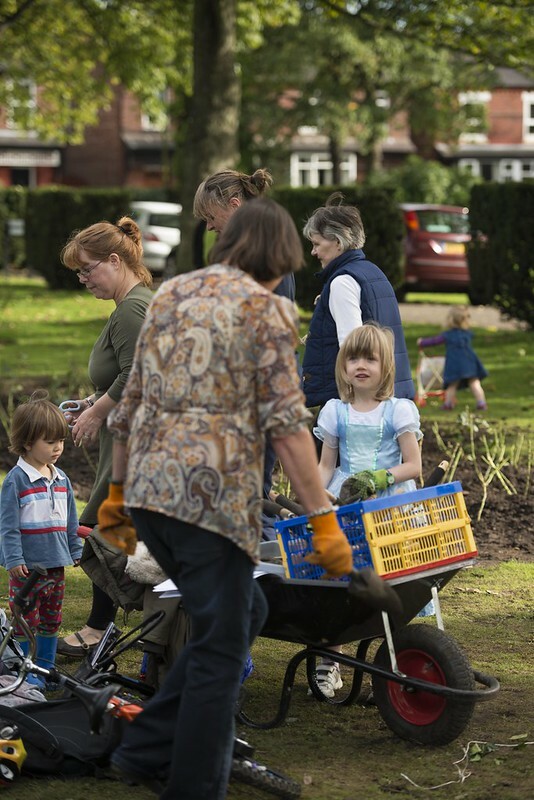 Diary Dates: Keep the 28th Oct free in your diaries and encourage others to help out. Back up day will be the following Sunday, 4th Nov. Think about how we can make this sustainable and continue to work on maximising the outcomes for the children. Involve the kids as much as possible – it’s their play experiences and we want a shared ownership experience.